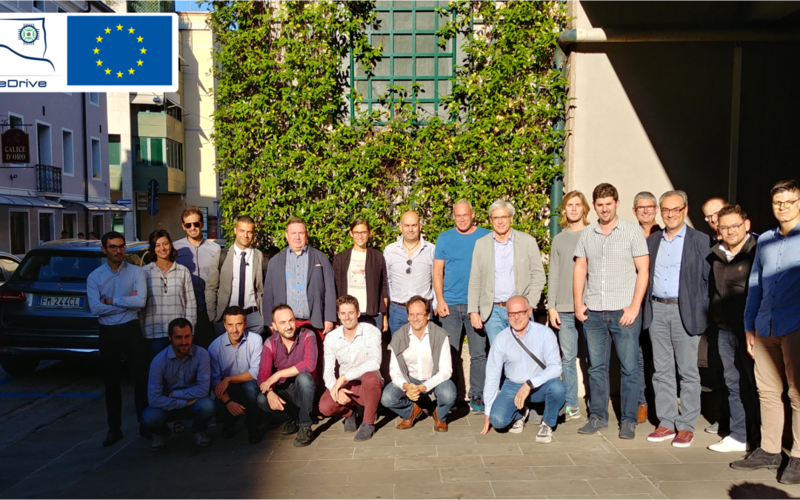 The ReFreeDrive project partners meet last September to hold the 12 month General Assembly Meeting at Pordenone, Italy. During this meeting, the three technologies featured in the project (Induction Machine, Permanent Magnet Assissted Synchronous Reluctance and Pure Synchronous Reluctance) presented their latest results and discussion over the upcoming actions and tasks took place. This first year ReFreeDrive has been focused on preliminary designs and assessments, as well as initial designs for the power electronics. In the upcoming year, designs will be finalized and the manufacturing of 8 e-Drives will take place, it will be an exciting period with many results! 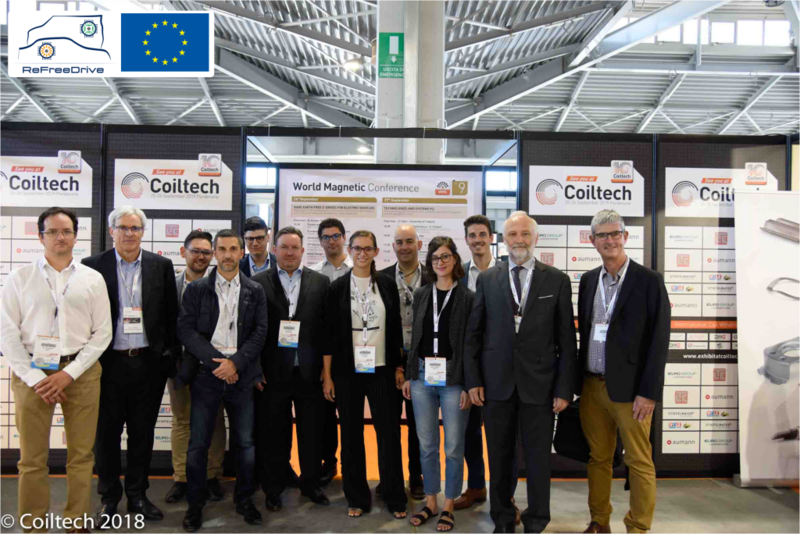 The third day, a dissemination session dedicated to ReFreeDrive was held within the World Magnetic Conference, taking place in parallel to the Coiltech International Exhibition. Blanca Araujo, ReFreeDrive project Coordinator, from CIDAUT presented the project Overview. Presentations followed from other ReFreeDrive partners: the European Copper Institute (Copper use in e-mobility), the University of L’Aquila (Synchronous Reluctance Motor for Traction Applications), IFP Energies Nouvelles(Rare Earth Free PM Assisted Synchronous Reluctance Motor for Electric Vehicles), Motor Design (Adoption of the Induction Motor with Copper Rotor for e-mobility) and Centro Sviluppo Materiali (Evaluating Electrical Steels for Electric Vehicles). The Coiltech International Exhibition was a great opportunity, as it was possible to meet many of the exhibitors working on different electrical machine parts and supplies, and explore potential collaborations for the project future activities. 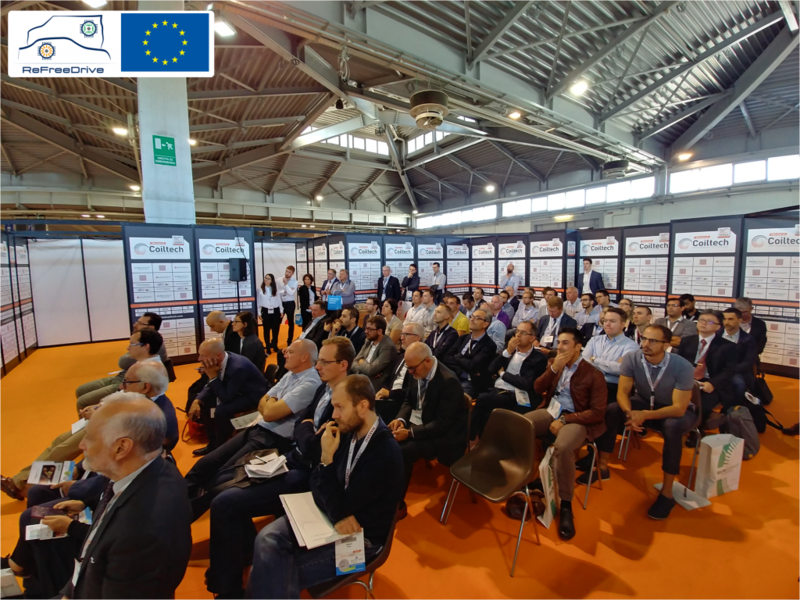 Besides, having a project dissemination event in parallel enabled a very enthusiastic and interested audience, full of experts in the field, and many questions on ReFreeDrive project results.